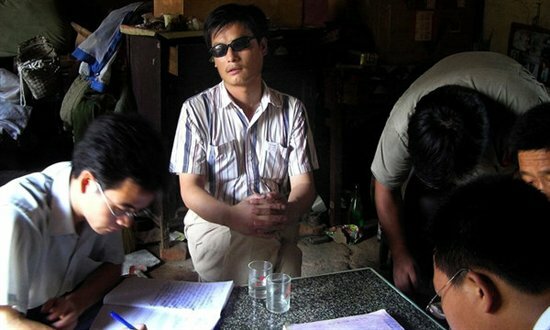 Chen Guangcheng (陳光誠) is a blind man. He is also a self-taught lawyer. Chen comes from a small village in southern Shandong (山東). He made a name for himself as a “barefoot lawyer” helping peasants and the disabled take on tax authorities and big businesses. Although he deals with a broad range of social issues, Chen focuses on women subject to forced abortions and sterilizations. China’s four-decade-old one child policy has been a financial bonanza for local governments across the country. Women pregnant with a second child must pay a fine, which is bureaucratic speak for hush money. Those who can’t afford the bribe will “consent” to an unwanted medical procedure, just like 29-year-old Feng Jianmei (馮建梅) who made international headlines last week for being coerced to abort a seven-month pregnancy. Chen’s advocacy work made him unpopular in both the public and private sectors. In a place like his hometown, unpopularity can have dire consequences. In 2006, he was arrested for “organizing a crowd to disrupt traffic” and served four years and three months in prison. After his release, he and his wife continued to be harassed, beaten and placed under house arrest. Two months ago, the blind lawyer made an improbable escape by climbing over a stonewall in his backyard. With the help of an underground network of activists, Chen traveled 300 miles to the capital city before he scampered into the U.S. embassy in the dead of night. Negotiations between Beijing and Washington over his fate threw both sides into a diplomatic quagmire. Chen left China three weeks later and is now a “special student” at New York University Law School. Li Wangyang (李旺陽) was a blind man. He was also a longtime political dissident. A Hunan (湖南) native, Li was arrested days after the 1989 Tiananmen Square Massacre for counter-revolutionary crimes and served 21 years in prison. Throughout his jail term, he called for the vindication of the massacre and went on numerous hunger strikes. His recalcitrance made him a frequent subject of torture and solitary confinement. By the time he was released in May last year, he had lost his front teeth, his eyesight, hearing and mobility. Ever defiant, Li continued to speak up against China's one-party rule up until his death. Two weeks ago, Li was found dead by his hospital bed. 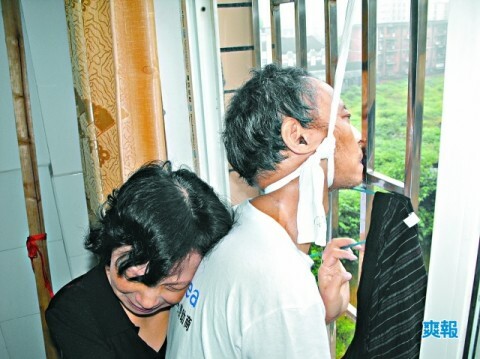 According to local authorities, the severely disabled 61-year-old hanged himself by making a noose out of bed sheets. But few believe that a tough nut who survived two decades of hell fire in prison, who carried the nickname “iron-man activist,” would take his own life or do so without leaving a suicide note, not to mention a photograph circulating on the Internet showing his feet touching the ground when he died. It would appear that Li had joined a long line of dissidents who were “suicided” (被自殺), a new term coined in blogosphere to describe state-sponsored murders clumsily staged as a suicide. To cover their tracks, Hunan authorities had Li’s body cremated promptly after conducting a dubious autopsy. Zhou Yunpeng (周雲蓬) is a blind man. He is also a poet and songwriter. 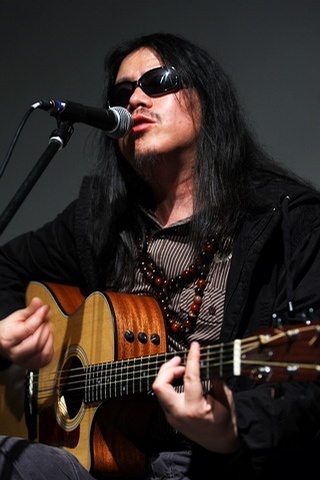 After finishing university in Liaoning (遼寧), Zhou began traveling across China, performing on the street and at bars and coffee shops. With a distinct folk slant, his baritone beats out gut-wrenching ballads of heartbreaks. He sings not of unrequited love and failed romance, but of government corruption and social injustice. Although many of his politically sensitive works have been banned, Zhou continues to be a prolific writer. In the past two decades, he managed to record four albums and launch two magazines, as he drifts between the underworld and the tightly controlled upper world. 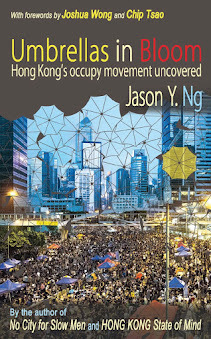 Although the three men cannot see, their stories open our eyes to the bleak reality of grassroots activism in China. In a country that tolerates no dissent, civil rights activists are household pests to be eradicated in whatever way necessary. 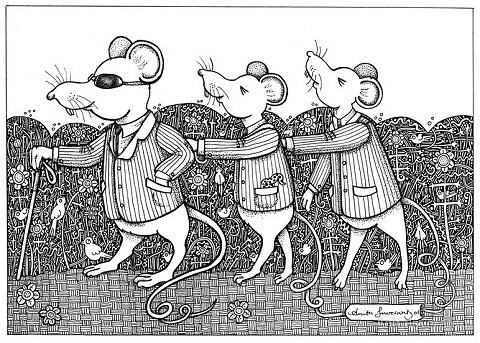 Chen, Li and Zhou are the three blind mice that crawl the thin line between advocacy and subversion, all the while dodging the farmer’s knife that threatens to cut off much more than their tails. Their struggles and the causes they fight for lay bare the unaccountability of local authorities, as well as the inability of the central government to intervene. That all three men happen to be blind not only captures our attention, but also underscores the indiscriminate effect of these systemic failures. Since Deng Xiaoping’s market-oriented reforms in the 1970s, the Communist regime has done wonders for the nation. 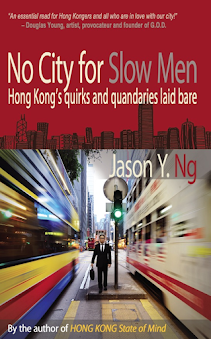 Hundreds of millions of Chinese have been lifted out of poverty, old cities transformed into modern metropolises. With the country's G2 status, high speed trains, an Olympic Games in Beijing and a World Expo in Shanghai, and even men and women in space, national pride is at an all-time high. To the vast majority, the benefits of economic transformation far outweigh the costs. But don’t tell that to the mothers who lost their children on Tiananmen Square 23 years ago or to the wives of the dissidents tortured and killed since then. Forgive them if their calculus of costs and benefits are a little different from ours. The story of the three blind men compel us to examine the wisdom of economic development at any social cost. They make us question whether prosperity and dissent have to be mutually exclusive, and whether moral bankruptcy is a prerequisite for affluence. And if murders and massacres can be justified by the collective good, what does that say about us as a people? Modern China is a society of grim irony: it is where the blind see more clearly than the sighted, and where the disabled are trampled by the enabled. 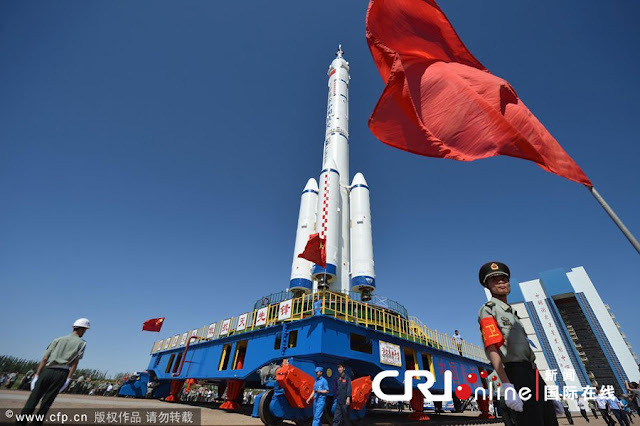 Forgive me if I didn’t jump for joy when Chinese spacecraft Shenzhou 9 (神舟九號) blasted into orbit this week. This essay is dedicated to the late Li Wangyang who struggled and died for the betterment of the country he loved. An ambitious space program, but at what cost?